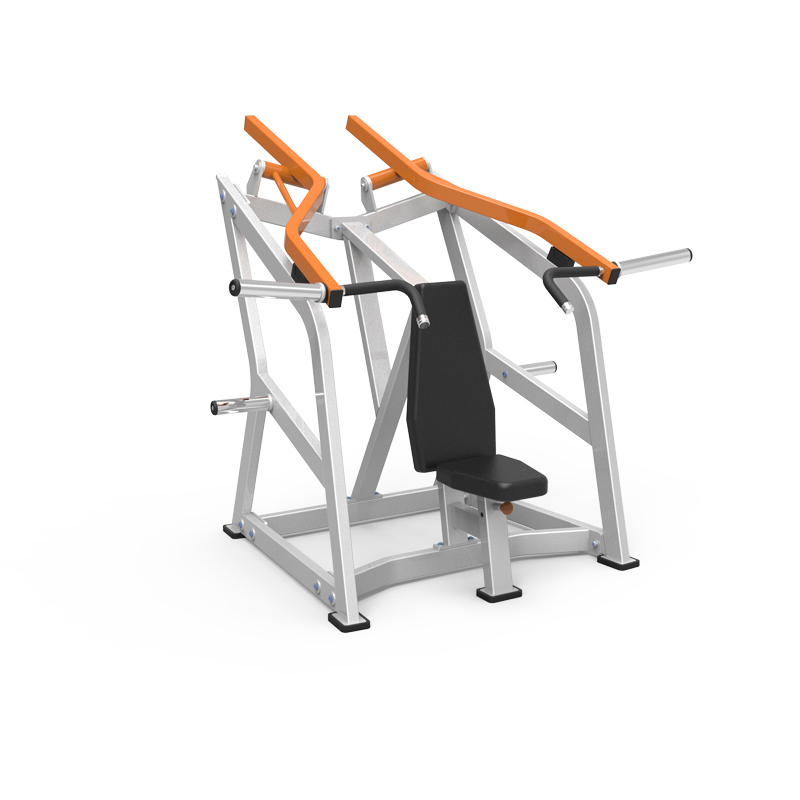 L85 Pro-Power Strength Series aims at serving the professional exercisers. Unlike others, L85 Pro-Power Strength Series has more detailed and precise classifications of equipment for different training goals. With independent converging and diverging arcs of motion, L85 Pro-Power Strength Series continues build the champions. Plate Loaded Equipment is an important component in Commercial Strength Equipment field. As the bridge between Selectorized Equipment and Free Weights, Plated Loaded Equipment bears smooth and reliable defined path of motion and offer effective strength training. For those who want to buy gym equipment with more reasonable cost with perfect motion track, Plate Loaded Equipment would be the best choice. Though Simple mechanics, 11 gauge steel tubes ensure the performance of commercial gym equipment and create more precise motion track and smooth feeling, which makes them the best partners of the champions. If you are planning to buy gym equipment for your gym center, office or your home, here is the must for you to check.